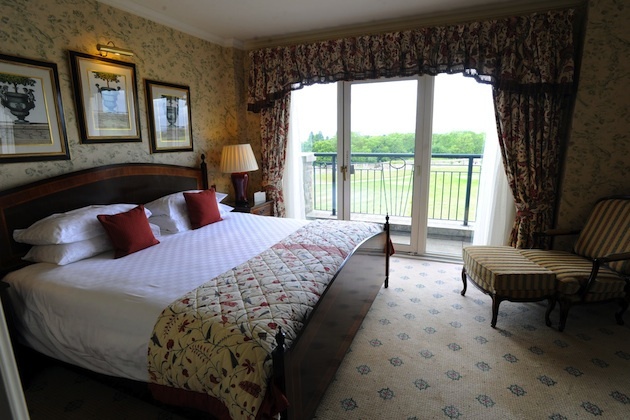 It is fitting that the first sitting U.S. president to visit golf-obsessed Wales would be the golf-obsessed Barack Obama, who is staying at the venue that held the 2010 Ryder Cup for the NATO Summit that began on Thursday. 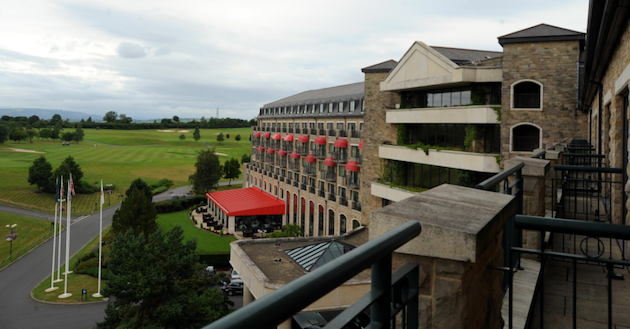 Obama and other NATO leaders will be staying at the Celtic Manor resort in Newport, Wales, which is home to three separate championship-caliber golf courses, including the newly remodeled "Twenty Ten" course, which hosted the 2010 Ryder Cup. The Wales venue is perfect for Obama, who "has supposedly said that he finds" NATO meetings to be "dull," according to the Washington Post. 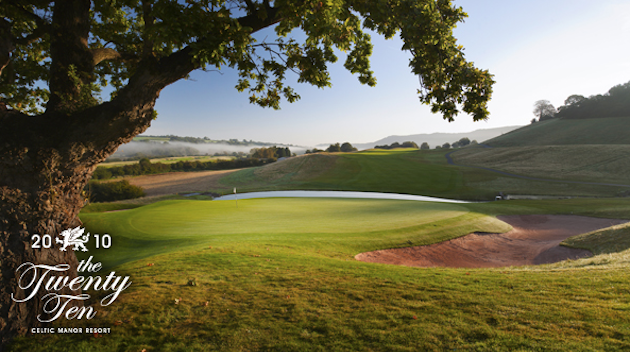 Wales has the seventh-most golf courses per capita in the world and the Welsh courses resemble the historic links courses in neighboring Scotland, the birthplace of the sport. "I'd bet Obama took his clubs with him and, notwithstanding the urgency of the NATO meeting with respect to the Ukraine and the separate ISIL crisis, he'll play a round," a former Pentagon official who attended a similar meeting held at Celtic Manor years ago told the Free Beacon. A White House press contact said he was unable to answer questions about whether Obama plans to golf during his trip, or even whether his set of clubs made its way to Wales. 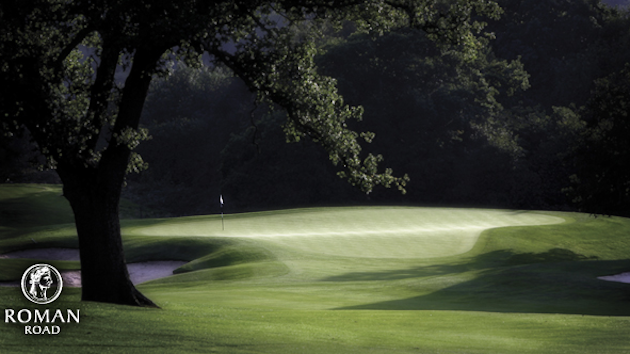 Obama will be provided with great views of the course that are sure to pique his interest. All three courses are stunning. Here is the "Twenty Ten," which was showcased in the 2010 Ryder Cup. 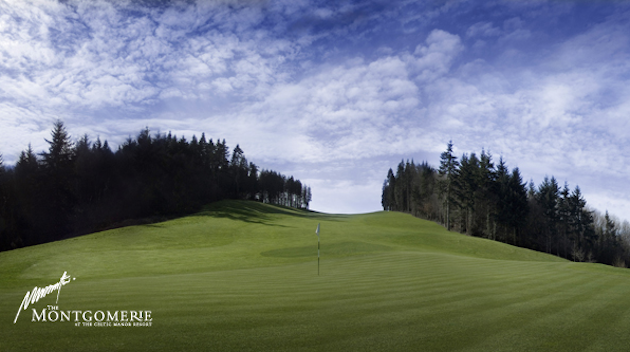 Also at Celtic Manor is the Montgomerie, named after legendary Scottish golfer Colin Montgomerie. 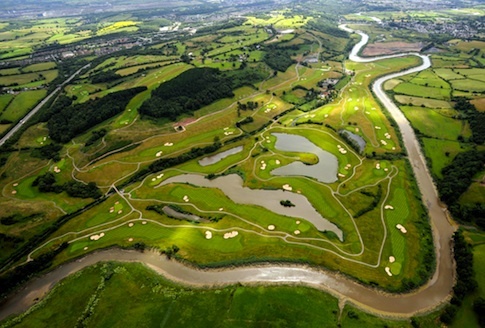 There is also the Roman Road course, which was used as the primary tournament venue for the annual Wales Open during the preparation for the Ryder Cup. 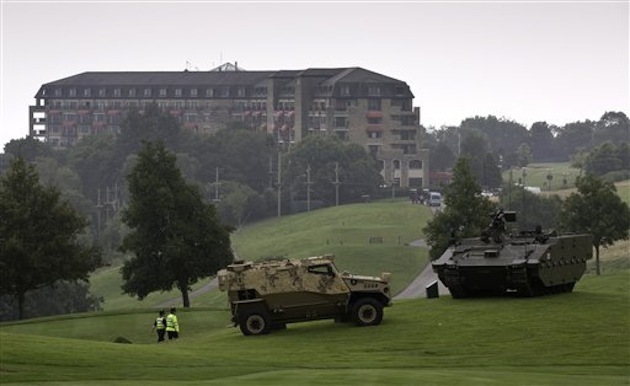 Parts of the golf courses are currently being used to showcase "British defense capability as well as the British defense industry." It appears as though golf is still in progress even with the military hardware on the course, as a sign near one of the displays warns onlookers, "Danger: Golf In Progress From Right." The option for Obama to continue his summer of golf is there for the taking. This entry was posted in Politics and tagged Barack Obama, Golf, NATO. Bookmark the permalink.